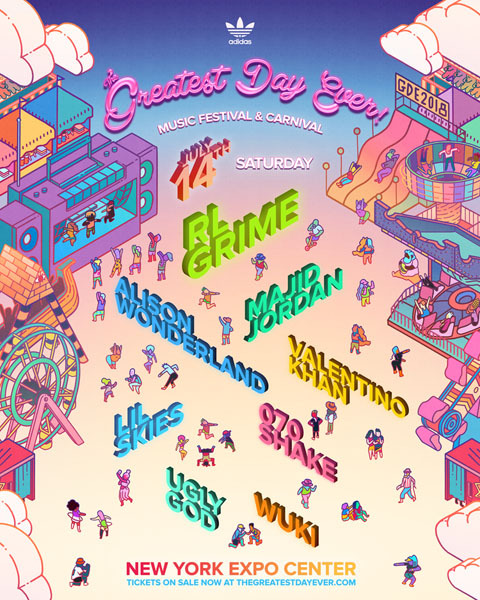 Mark your calendars because the Greatest Day Ever Music Festival & Carnival is back for the fifth year in a row. Adidas Originals sponsor the cross-genre music festival. Tickets can be bought directly through the festival website or with Eventbrite. 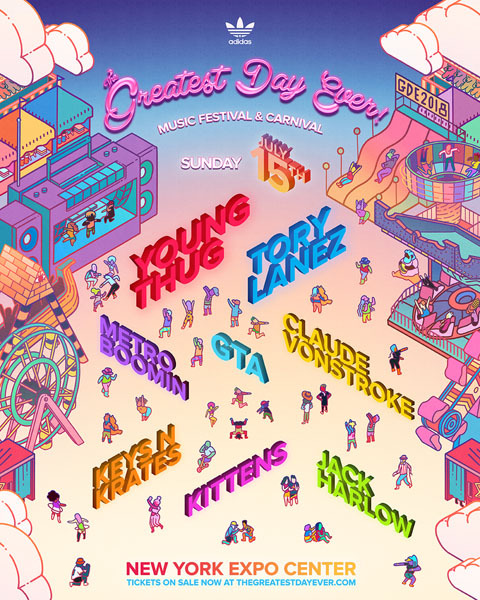 Festival-goers can purchase different ticket packages for the for each day, Saturday, July 14, or Sunday, July 15 or buy tickets that cover the entire weekend. The festival will be held at the NY Expo Center at 1108 Oak Point Avenue. The doors will open at 2 pm. Not only are the rides free, but also the festival offers food for purchase options for all dietary needs. Beverages, both alcoholic and non-alcoholic are available for purchase.